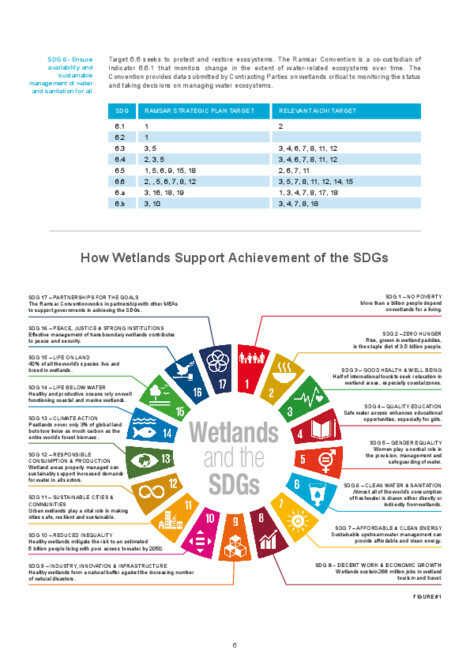 The multiple benefits and services provided by wetlands are essential in achieving the Sustainable Development Goals (SDGs). 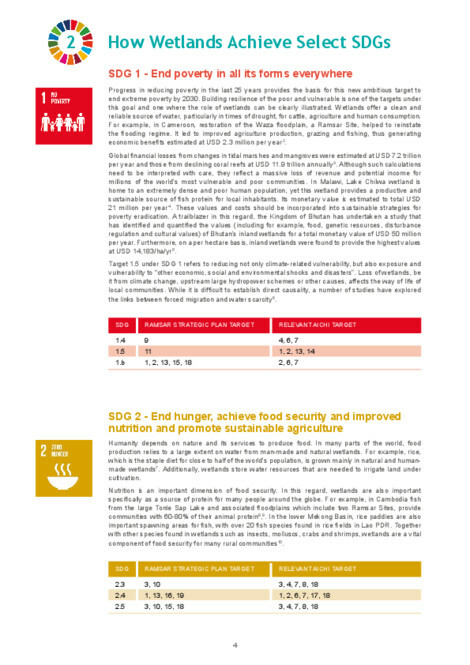 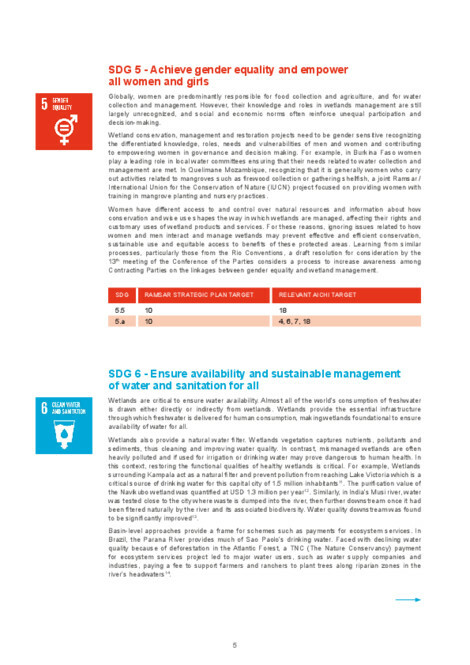 The SDGs represent an ambitious agenda to eradicate poverty and achieve sustainable development by 2030. 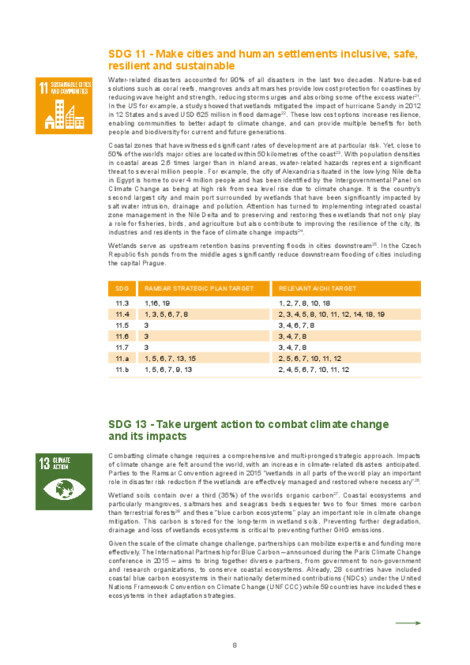 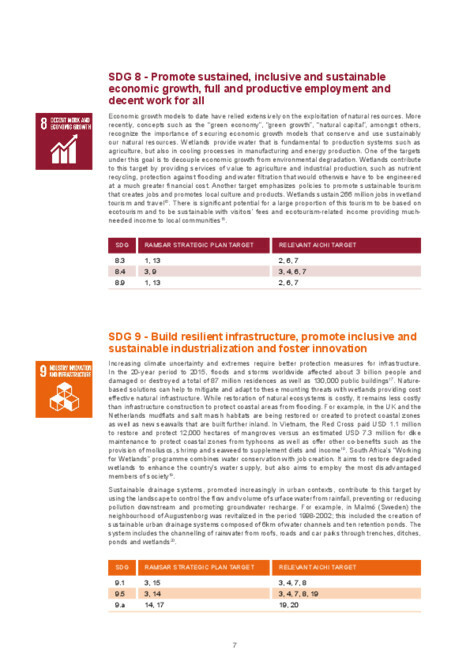 This 2030 Agenda for Sustainable Development provides a comprehensive roadmap for a sustainable future. 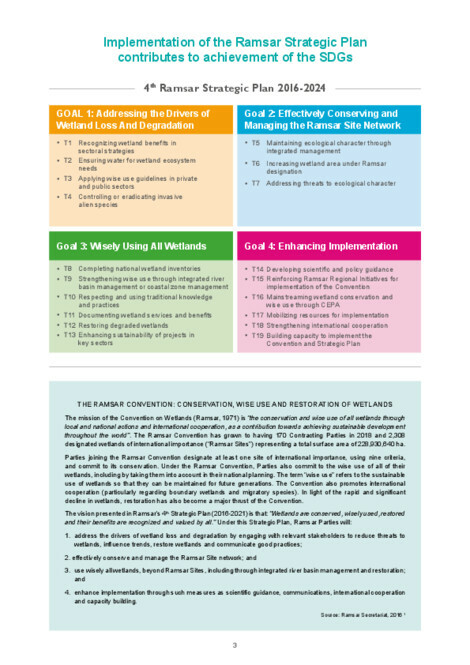 Seventeen goals, each with a number of concrete targets, translate this programme into action. 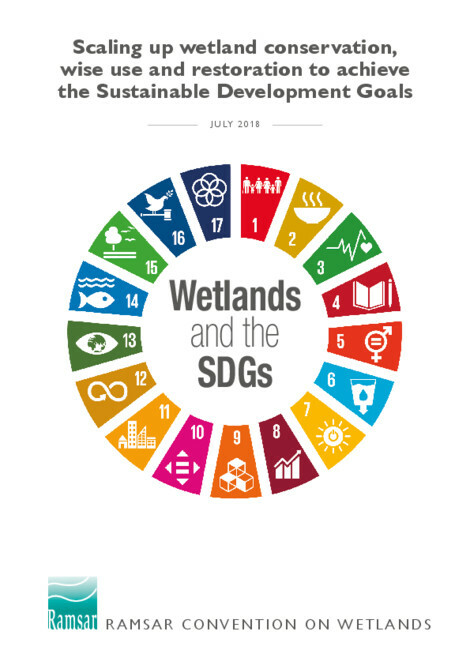 This report highlights the critical role of wetlands in relation to the SDGs, and more specifically underscores the importance of conserving, using wisely and restoring this precious resource. 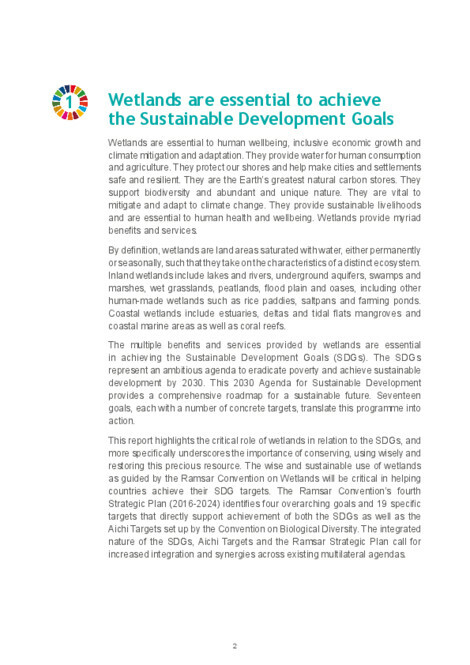 The wise and sustainable use of wetlands as guided by the Ramsar Convention on Wetlands will be critical in helping countries achieve their SDG targets. 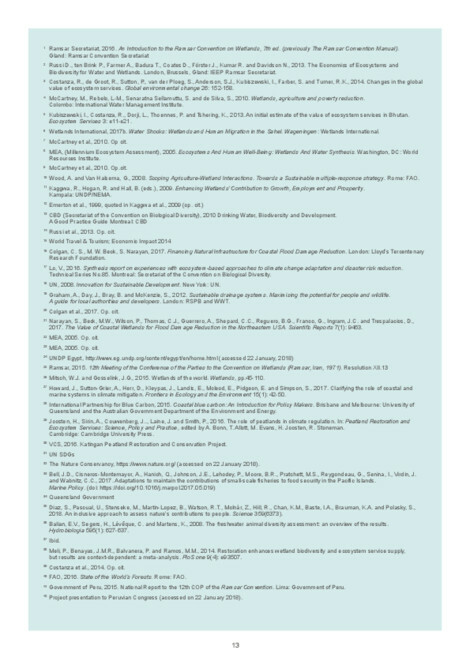 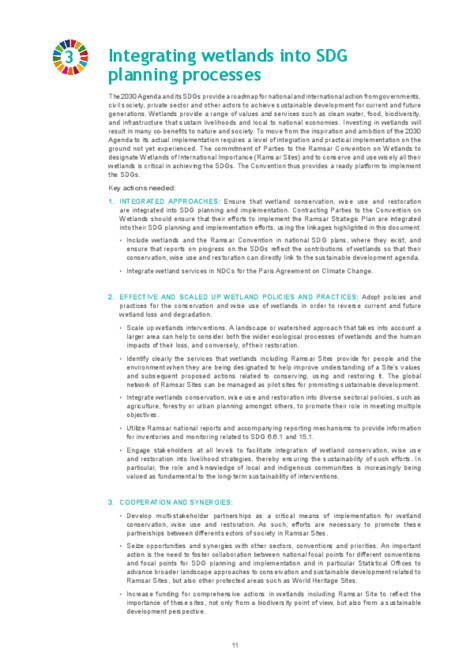 The Ramsar Convention’s fourth Strategic Plan (2016-2024) identifies four overarching goals and 19 specific targets that directly support achievement of the SDGs as well as the Aichi Targets set up by the Convention on Biological Diversity. 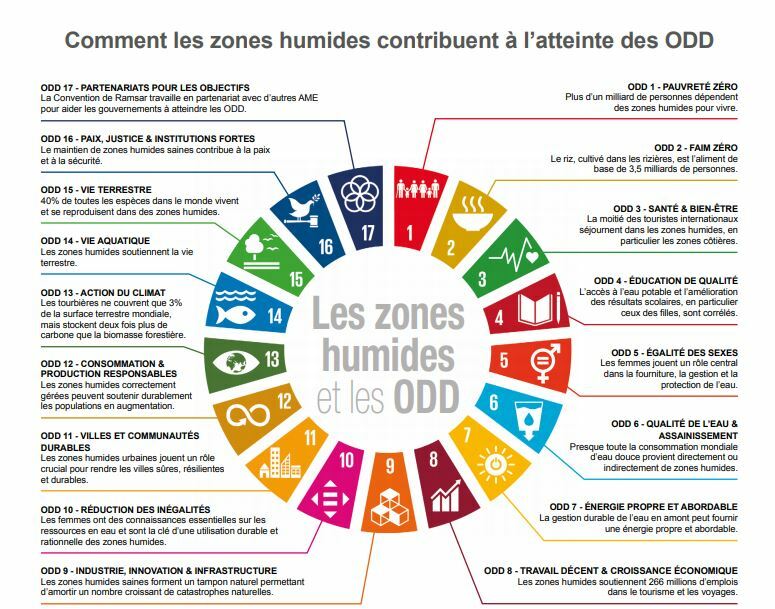 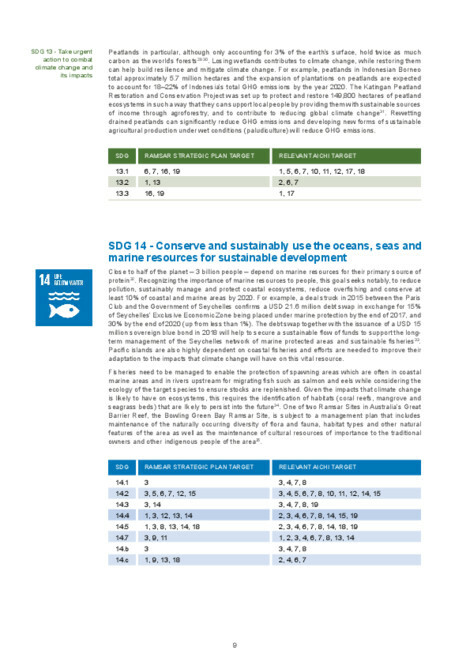 The integrated nature of the SDGs, Aichi Targets and the Ramsar Strategic Plan call for increased integration and synergies across existing multilateral agendas.